Mortgage Capital Trading, Inc. (MCT), a leading mortgage hedge advisory and secondary marketing software firm, announced new functionality that delivers real-time pricing and automates loan committing for Freddie Mac clients. MCT's lender clients receive the pricing information seamlessly via its integrated capital markets technology platform, MCTlive! (SAN DIEGO, Calif.) -- NEWS: Mortgage Capital Trading, Inc. (MCT), a leading mortgage hedge advisory and secondary marketing software firm, announced new functionality that delivers real-time pricing and automates loan committing for Freddie Mac clients. 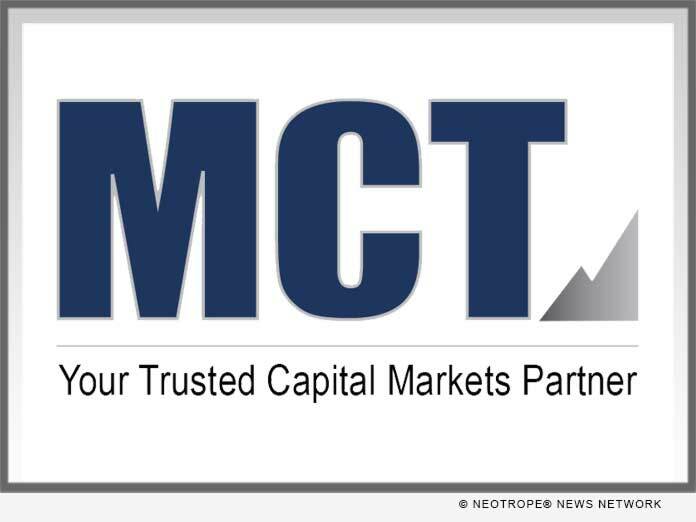 MCT's lender clients receive the pricing information seamlessly via its integrated capital markets technology platform, MCTlive! MCT is the first vendor to have successfully completed the first commitment via Freddie Mac's new API technology. After completing Best Execution Analysis and determining loans to be sold to Freddie Mac, lenders use Rapid Commit functionality which intelligently completes product selection and delivers commitments for all loans with a single click. MCTlive! Rapid Commit interfaces bi-directionally with Freddie Mac's Loan Selling Advisor system in real-time. "We are proud to leverage the system-to-system Pricing and Commitment functionalities within the newly released Freddie Mac APIs," stated Phil Rasori, COO at MCT. "This integration is a significant step on our road map for increased technology collaboration with Freddie Mac for the benefit of our mutual lender clients." MCTlive! Rapid Commit functionality speeds up the committing process, ensures data integrity, and optimizes best execution for all commitments. Working within MCTlive!, users leverage Rapid Commit to run initial best execution, confirm Freddie Mac eligibility, and analyze the optimal subset sizes and products to deliver as individual commitments. MCTlive! has converted a once manual process to a completely automated and efficient solution. MCT and Freddie Mac look forward to continuing to collaborate for the benefit of mutual clients. Lenders interested in leveraging MCT Rapid Commit to improve their loan sale process should schedule a consultation. Freddie Mac makes home possible for millions of families and individuals by providing mortgage capital to lenders. Since our creation by Congress in 1970, we've made housing more accessible and affordable for homebuyers and renters in communities nationwide. We are building a better housing finance system for homebuyers, renters, lenders and taxpayers. Learn more at www.FreddieMac.com, Twitter @FreddieMac and Freddie Mac's blog.